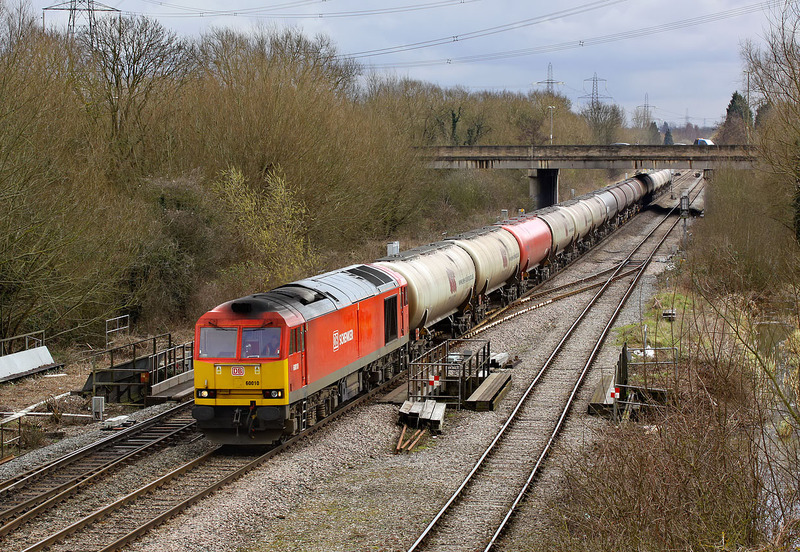 60010 passes Hinksey on 12 April 2013 with the 6E55 13:00 Theale to Lindsey Murco oil empties. The loco is just crossing over a branch of the Hinksey Stream, which is very susceptible to flooding, and which has been a constant source of problems for the railway since broad gauge days. The bridge In the background carries the A423 Oxford southern by-pass.